Tapenade Recipe Olive and Garlic French Dip. This tapenade recipe goes against the grain of the classic French Dish as it doesn’t contain capers, but that doesn’t make it any less delicious! 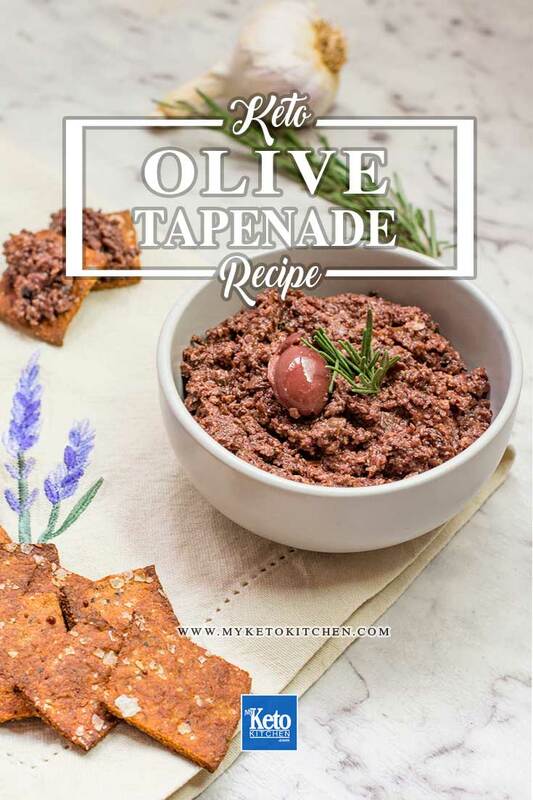 This recipe makes approximately 400g/14 ounces of tapenade, which is 28 serves. 1 serve is 1 tablespoon of tapenade dip. 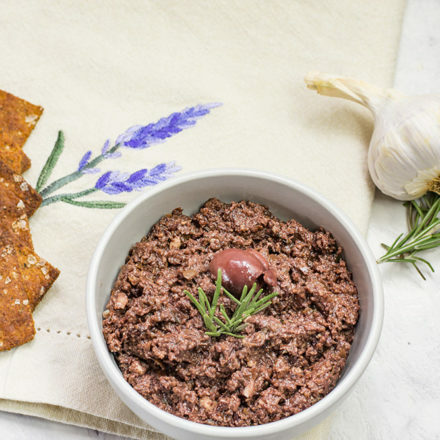 This low carb garlic and olive tapenade can be stored in the fridge for up to 2 weeks. Drain the olives and rinse gently. Leave to dry. Place the olives, garlic, thyme and parmesan into your food processor and blend on high speed until it is a chunky paste. Add the olive oil and lemon juice and continue to blend for 5 minutes, scraping down the side every so often. Taste your tapenade and add the optional sweetener, pepper and salt if desired. Spoon into a container and leave in the fridge for at least 2 hours or overnight for best results. Serve with a side of toasted Keto Focaccia or Low Carb Crackers. Serve with a side of toasted Keto Focaccia or Cracked Pepper Crackers. To make a larger batch of this Olive Tapenade recipe adjust the servings above. Gluten Free Crackers Recipe – Low Carb Savory – 100% Keto EASY! 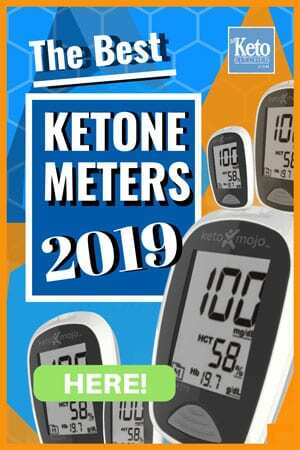 Best Keto Cheese Recipes – Low Carb “Full Flavored” EASY Homemade Dishes!